Each player from your company will play with 3 people from 3 other companies meaning your company will play with 12 others in order to enhance the networking opportunities on the day. If your 4ball is with clients and you would prefer to play with them just let us know. The Corporate Golf Events in Scotland Business Fours competition format will be a 4 ball aggregate Stableford i.e. the combined Stableford score of the 4 members of your team will be your score. Prizes will also be on offer for the best 4-ball in the same format as well as nearest the pin, longest putt and longest drive competitions. The highest 5 Stableford scoring teams from each heat will qualify for the national final of our corporate golf events in Scotland which will be hosted on 23rd May. We are maintaining our commitment to donating 10% to charity and this will be donated to the chosen charity of the overall winning team. Reigning champions Riddle & Coghill took home £2,500 for MND Scotland in 2018. 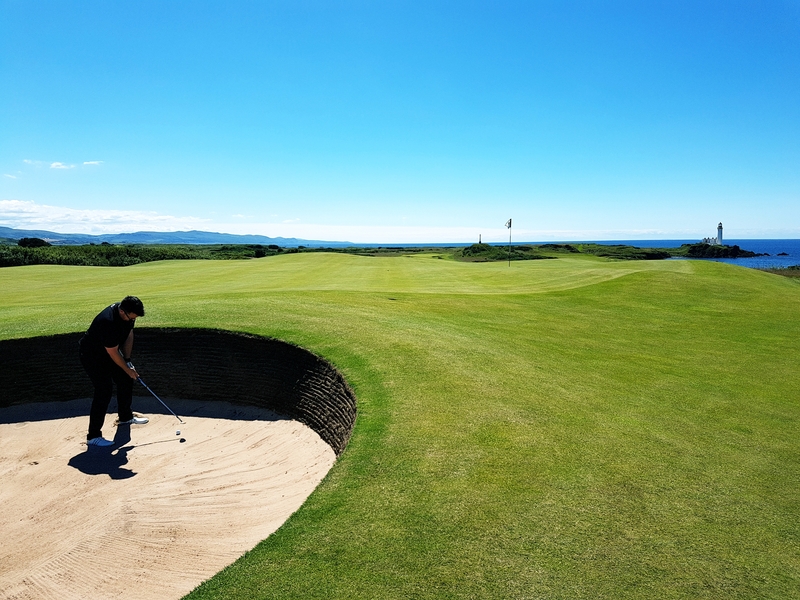 All participants and companies getting involved in our corporate golf events in Scotland will be encouraged to fund raise for their chosen charities in the build up to the events and we’ll still have our charity fundraising activities on the day. 1330 Stableford tournament with Longest Drive, Longest Putt & Nearest the Pins. For further golf event information why not get in touch and see who else is taking part. All players should have a valid playing handicap, in the case they don’t a maximum of 18 for men and 36 for ladies will be allocated. For those with an official handicap there is no maximum. The competition format will be a 4 ball aggregate Stableford i.e. the combined Stableford score of the 4 members of your team will be your score. The highest 5 Stableford scoring teams from each heat will qualify for the national final. For further golf event information why not get in touch.